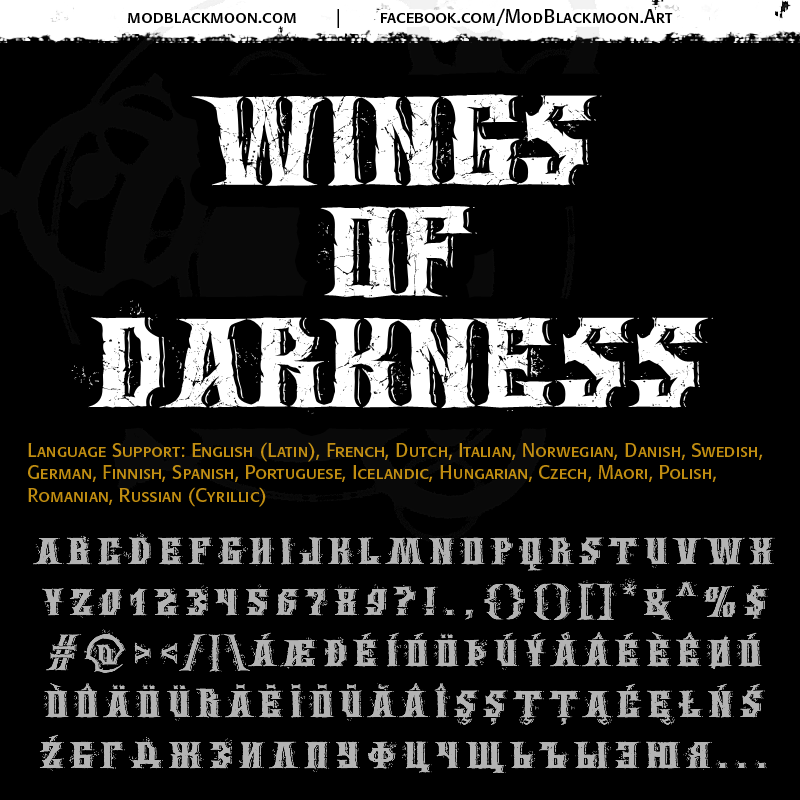 Grunge, Modern Metal Font - Freeware for personal and commercial use. Credits are not required, but highly appreciated. Incl. English (Latin), French, Dutch, Italian, Norwegian, Danish, Swedish, German, Finnish, Spanish, Portuguese, Icelandic, Hungarian, Czech, Maori, Polish, Romanian, Russian (Cyrillic) letters. Numbers and major punctuation marks. August 2015. Validated in HLFC, no errors.